Today Neca fully unveiled the first ever officially licensed Laurie Strode collectible figure, as portrayed by Jamie Lee Curtis in the Halloween 2018, which will be released later this year. 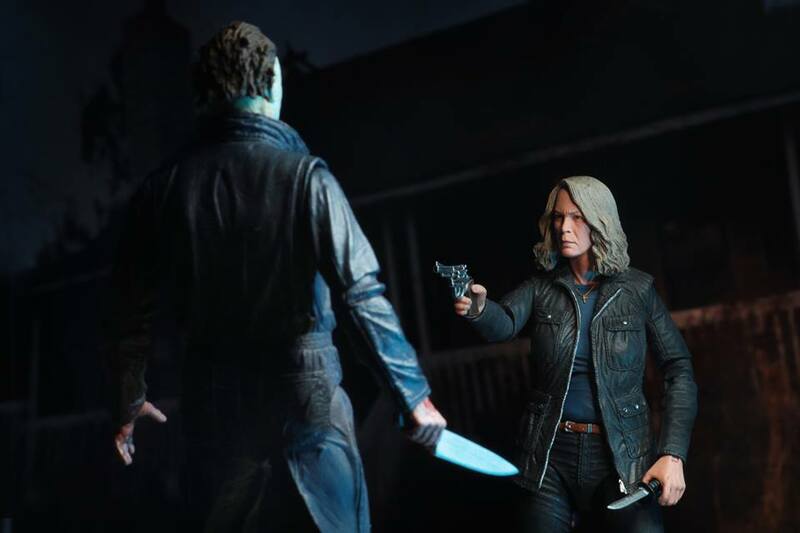 The Ultimate Laurie Strode figure joins the previously released Michael Myers figure from Halloween 2018 in Neca’s popular “Ultimate” line of collectibles, and it is not only the first ever figure of the character, but the first to feature the authorized likeness of Jamie Lee Curtis. Based on her appearance in Halloween 2018, Laurie stands over 7 inches tall, with over 25 points of articulation, and tons of attitude and accessories, including two heads (with glasses and without), shotgun, rifle, revolver, knife that fits into a sheath on her hip, and more. The figure will come in a display-friendly deluxe window box package with opening flap, featuring the second poster from the movie. The shipping date for Neca’s Ultimate Laurie Strode is set for the second quarter of 2019. You can see new photos of the Ultimate Laurie Strode figure and its packaging in the gallery below.